The Bergan Wheeled Comfort Carrier provides the same level of comfort for you and your pet as Bergan's original line of Comfort Carriers, but with the addition of simple mobility. 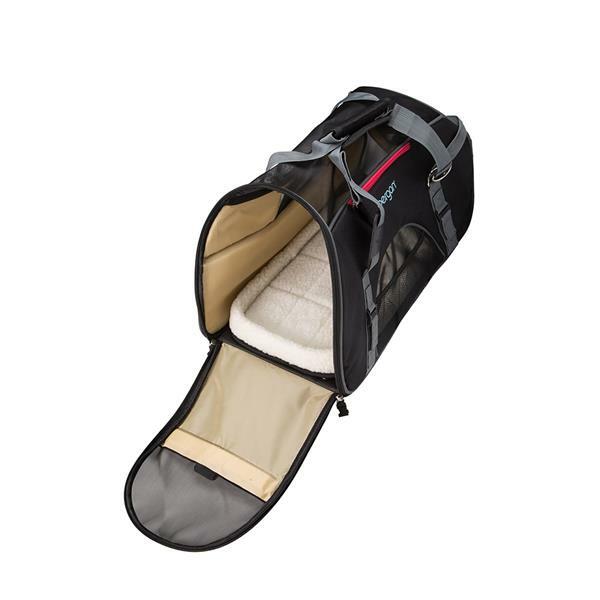 Perfect for frequent travelers and airport goers, the handle on this soft-sided pet carrier quickly converts to a pull strap, allowing you to carry other items while easily towing your pet. The wheels detach and stow away for everyday use. Fleece travel bed is removable and machine washable. Maximum Weight Capacity: 22 lbs. Dimensions: 19"" x 10"" x 13""